Leadership is the art of getting someone to do what you want done--because they want to do it! One of the risks of reading this quote is that one could get the impression that leadership is about manipulating people. If we don't go deep enough into the last part of the quote--"because they want to do it"--we will not really understand the power of leadership. 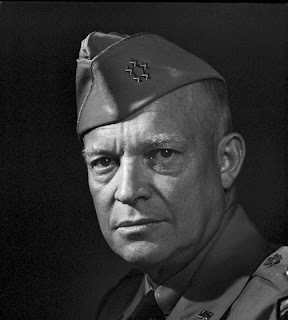 To be blunt--as Eisenhower oft was--this is not about people wanting to do things because they want to keep their job, get a promotion, stay out of the doghouse, or just get through the day. This quote is about connecting with those you are leading in such a deep way that the motivation to perform comes from within them--inspired by you. This is what leadership coaching is all about. Coaching is a technique used by more and more leaders who desire to see their people fulfill their highest potential. It is a not a process by which leaders tell their people "here's what you need to do." Rather, it is a process that inspires people to say to the leader "here's what I can do!" Because the action steps come from within the person being lead, the rate of success is much higher. Because the ideas come from within the lead, the action steps are things that they want to do. Time to demand ethics from our leaders!